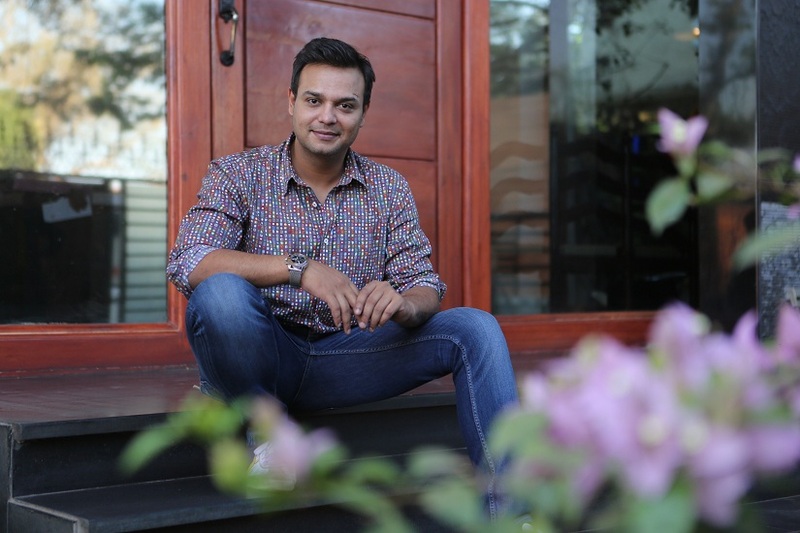 After setting new trends in mythology, Siddharth Kumar Tewary is upping his content with one of the biggest and most expensive series on Indian television, Porus, that hit the small screen on Monday, 27 November, on Sony Entertainment Television. Tracing the events leading up to the confrontation between Porus and Alexander the Great of Macedonia, in the Battle of the Hydaspes in 326 BCE, Porus — made at the staggering budget of Rs 500 crore — aims to marry entertainment with grandeur. Directed and produced by Tewary of Swastik Productions, the 260-episode show combined opulent sets and visual effects. Porus was written over two years, and promotes the idea that there existed a mythical golden age of India before the entry of foreign conquerors. “Porus is a historical series about Porus the king, and his life. It is about the golden age in India, when it’s said that we had everything… we were a First World nation once upon a time, I have shown that in a larger-than-life manner. And then invasions happened over centuries and today we are a Third World country. So this series depicts the rich India, the golden and glorious days of this country and how there was a king called Porus who stopped Alexander the Great from entering India. We have recreated the whole world and we will show Alexander’s journey as well,” said Tewary, whose attempt with Porus is to bring to the small screen the kind of production values that are mostly seen in big-budget movies. “Indian television is still in quite a nascent stage as compared to the West. We are still maturing. With all our technical advancements, we are trying to blur the lines between television and films,” he added. The show stars Laksh Lalwani as Porus, Rohit Purohit as Alexander, Rati Pandey as Porus’s mother Anusuya, and Aditya Redij as King Bamni of the Pauravas. “We have been shooting since May. Now we have a decent bank of episodes and thus, will maintain the quality all through. I am very confident about the product, the effort that we have put in. It has been a mammoth task, a great challenge. I don’t know the outcome but we are clear about our intent,” Tewary told us. The research for Porus involved lot of referencing from various sources to create that world. “We can’t research one date or one event, we research a period, a time, what people wore, how they lived, what they looked like and small details like the significance of the water routes for trade purposes. We created ports, ships. There is more data on Porus available internationally than in India. He was called Porus by the Greeks and the Persians, and in India he was called Purushottam. Since the show is set in 350 BC, I took a lot of references from around that era,” explained the director. The production was shot across various locations in India and Thailand, including Khao Sok National Park and Pattaya. Five sets were constructed over nine acres at the Vrindavan Studio in Umbergaon in Gujarat where a number of mythological shows have been shot. The sets include recreations of the kingdoms of Macedonia and the Pauravas in the Punjab region, Persia, Taxila and three ports. Interestingly, this is the first series in India where a production house owns the complete intellectual property of the show instead of the broadcaster. “We are treading a new path and it is very exciting. It is great for content overall. Eventually, the channel is the anchor broadcaster and it doesn’t fund you completely, so you have to invest more money from your side and then recover it by sending it to various platforms across the world. So you better focus on making great content because only then it can travel across borders! We have invested a lot of money in creating these worlds and we have definitely gone out and created something to the best of our abilities. There are plans to sell the series to several countries,” said Tewary. 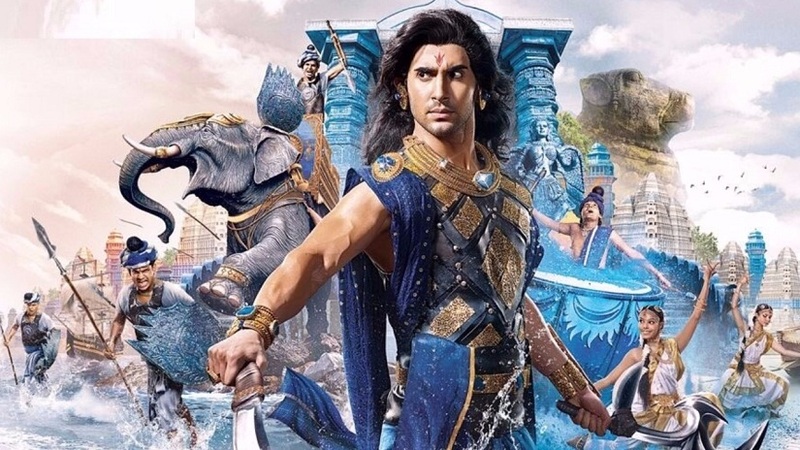 Porus was also showcased at Cannes this year, another first for an Indian TV show.